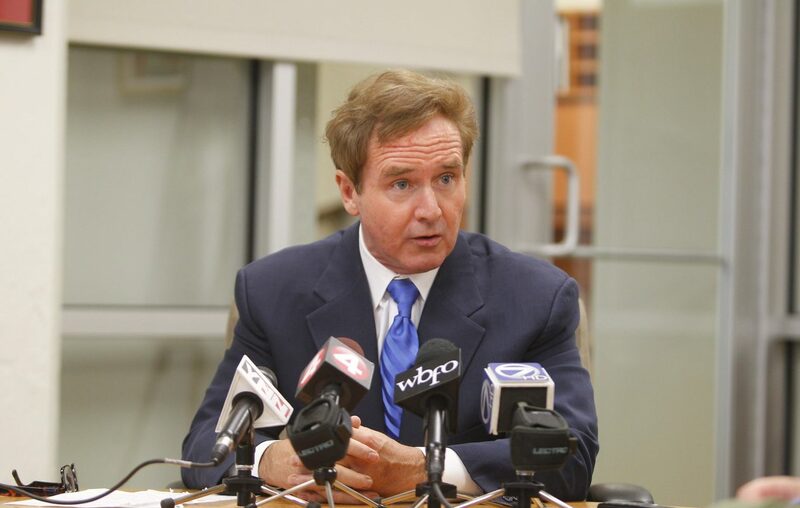 WASHINGTON – Rep. Brian Higgins is asking the commissioner of U.S. Customs and Border Protection to determine if local Customs officers suffered from excessive exposure to lead at their Niagara Gun Range training facility – which, Higgins said, the agency ought to abandon once and for all. "I strongly urge the agency to look into this matter, determine the scale and degree to which employees may have been exposed to this contamination, and seek expedited processes to deal with and ameliorate the potentially hazardous results of the exposure," Higgins, a Buffalo Democrat, said in a letter Friday to Kevin K. McAleenan, commissioner of the Customs agency. An agency spokesman, Aaron E. Bowker, said officers who trained at the Wheatfield gun range were tested after the agency found lead contamination throughout the facility last December. None of the officers tested reported blood lead levels in excess of the Occupational Safety and Health Administration limit, but two had relatively high lead levels and were assigned to other duties, Bowker said. Nevertheless, Higgins said he wanted the agency to take a more comprehensive look at the possible health effects of lead contamination at the facility, where those tests last December found high lead levels on tables, the floor, the microwave, the coffee pot and other locations. The gun range is located in the district of Rep. Chris Collins, a Clarence Republican. But Higgins said he felt compelled to speak out because many Customs officers live in his Buffalo-based district. "A number of my constituents employed at CBP in the Western New York region may have been exposed to high lead levels," Higgins noted in his letter. The agency stopped training its agents at the Niagara Gun Range after finding the contamination there. And although the facility's owner has spent $45,000 to mitigate the lead contamination and to make sure it won't happen again, Higgins said the Customs agency should not do its training there ever again. "I further strongly recommend the agency find a suitable alternative location for future training and ensure that such alternative location meets standard protocols for health and environmental safety," Higgins said.